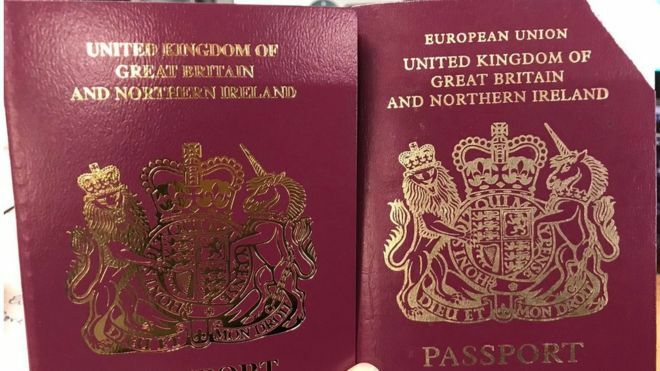 British passports are being issued without the words "European Union" on the cover, despite the delay to Brexit. One recipient said she was "truly appalled" at the change. The decision to remove the "European Union" label was made in the expectation that the UK would be leaving the EU at the end of last month, as scheduled. A Home Office spokeswoman said that "in order to use leftover stock and achieve best value to the taxpayer", passports that include the words "European Union" will continue to be issued for "a short period".